Designing for older adults can be complex. Often, designers struggle to understand people who share a very different life context. At the same time, older adults can have difficulties imagining future technologies for themselves. This creates challenges for design processes bounded by time and outcome expectations. In this paper, the authors explore a long-term, loosely structured and open-ended research process where they provided participants with prototypes to use for as long as they wanted, and only as they wanted to. By working with their own relatives and friends and moving away from structured procedures and external agendas, the authors made space for both participants and designers for deep engagements with the artifacts and process. Participants were able to better understand technology and shape it to their needs. Researchers were better able to understand and iterate on the technology designs. The authors' findings suggest that this approach might be especially appropriate for designing for and with older adults. Older adults are a growing demographic age group who have a low adoption rate of technology when compared to younger adults. According to Charness, Fox, and Mitchum (2010), only 25% of people between 75 and 84 years, and around 5% of those 85+ years are computer users or have occasional access to the Internet. 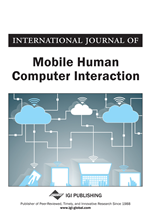 To increase the adoption of technology by older adults, researchers in Human-Computer Interaction (HCI) have investigated the design of technologies for this particular user group. One strand of research has focused on making interfaces usable for older people, providing user interface design guidelines (Al-Razgan, Al-Khalifa, Al-Shahrani, & Alajmi, 2012), and discussing Inclusive Design approaches (Wobbrock, Kane, Gajos, Harada, & Froehlich, 2011). Another research strand has been concerned with creating technologies for older people to increase the quality of life, for example, by overcoming isolation (Garattini, Wherton, & Prendergast, 2012) or by providing tools for creative activities (Waycott et al., 2013). In this article, we contribute to the discussion of how to create technology for older people that is useful, usable, and used in practice. Designing useful technologies requires a deep understanding of the issues and needs of older people. This can be hard to obtain, because the life context of older adults is probably distinct from that of the designers. For example, older adults are likely to face age-related changes in their body (e.g., in their vision), different family configurations (e.g., with grand-children), and different working situations (e.g., retirement) than the designers. Furthermore, the reduced experience of older adults with technology can make it difficult for them to imagine future technologies (Massimi, 2007), rendering idea generation and discussions less effective. Approaches such as Co-Design (Sanders & Stappers, 2008) and Technology Probes (Hutchinson et al., 2003) have gained increasing attention as ways of bringing older people into the design of technologies to address such concerns (e.g., see (Vetere, Davis, Gibbs, & Howard, 2009; Waycott et al., 2013)), but these are often within quite structured and time-bounded shorter-term engagements. As noted by Subasi, Malmborg, Fitzpatrick, and Östlund (2014, p.70), “we are still learning how to approach design in the area of aging”. Contributing to this exploration of how to design technologies for and with older people, we report here on a particular type of open-ended design engagement with family members and close friends. Within the spirit of Research through Design (RtD) (Zimmerman, Forlizzi, & Evenson, 2007), we designed two main prototypes, PhotoFrame and SimpleCamera (including MessageTripod) and invited four older participants (three relatives and one friend) to use them for as long as they wanted, and only as they wanted to. These artefacts enabled the participants to communicate using photographs for up to 60 weeks (at the time of initial submission, and use is still on-going). We argue that the open-ended, unstructured and undemanding nature of this process (no strong expectations or constraints due to external agendas) was valuable in providing a space for both the older participants and the designers to learn from one another in an open and authentic dialogue. The open-endedness ensured that all parties were enabled with the time and confidence they needed for familiarizing themselves with the design endeavour and for deep engagement. Participants were able to understand technology better and adapt it to their needs, routines and spaces. Designers were able to learn about their participants’ authentic needs and iterate the prototypes.